Spyro is the leader of the Cores, Tree Rex is leader of Giants, Snap Shot is the leader of the TM and Spitfire is the leader of the SC. Who is the leader for the SWAP Force, anyone know? im guessing blast zone or wash buckler. Well Free Rangers lil image of him pointing in the distance kinda makes me think he would be leader assuming leaders are Starter pack Characters he was in 3DS . Personally i dont think there are any leaders other that the "Mysterious Portal Masters"
Alphawolf and Dark fhoenix are both right, Wash Buckler should be leader since they are the ones who are announced first everytime for a new game. But during the cutscence of SWAP Force, Free Ranger was leading the charge of the battle. Water - Snap Shot / Wash Buckler? Cores is Spyro, Giants is Tree Rex, Swappers is Wash Buckler, Trap Masters is Snap Shot, Superchargers is Spitfire. It's not by who is revealed first,it's who is on promotional material. 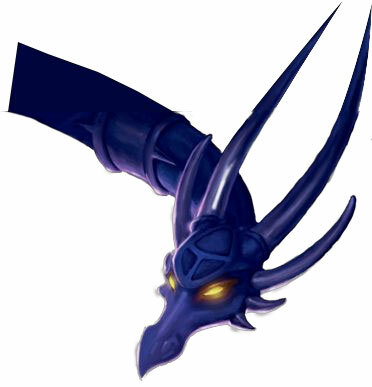 SSA featured Spyro as the main character in The Beginning Trailer and the reveal story trailer,Tree Rex's face is in all Giants promotional material, Wash Buckler in the E3 stand video wouldn't get out of the screen, Snap Shot is also on reveal and promotional material,and Spitfire is the only one showing up in the majority of the Buckle Up trailer. I personally believe that Blast Zone an Wash Buckler share their leadership, as they can work to be ideal Swaps, and they both come in the starter. But, if Wash Buckler is the only leader, then I'm fine with that. Wash Buckler is one of the mascots of Swap Force. Free Ranger gave the signal to attack in the intro. Mascot and leader are totally different roles. I think Free Ranger would make a really good leader, but Wash Buckler as a captain sounds good too. I always felt Blast Zone should lead, Wash Buckler doesn't seem like the leading type. Isn't Wash Buckler the Leader? It's Wash Buckler mainly because he's amazing.